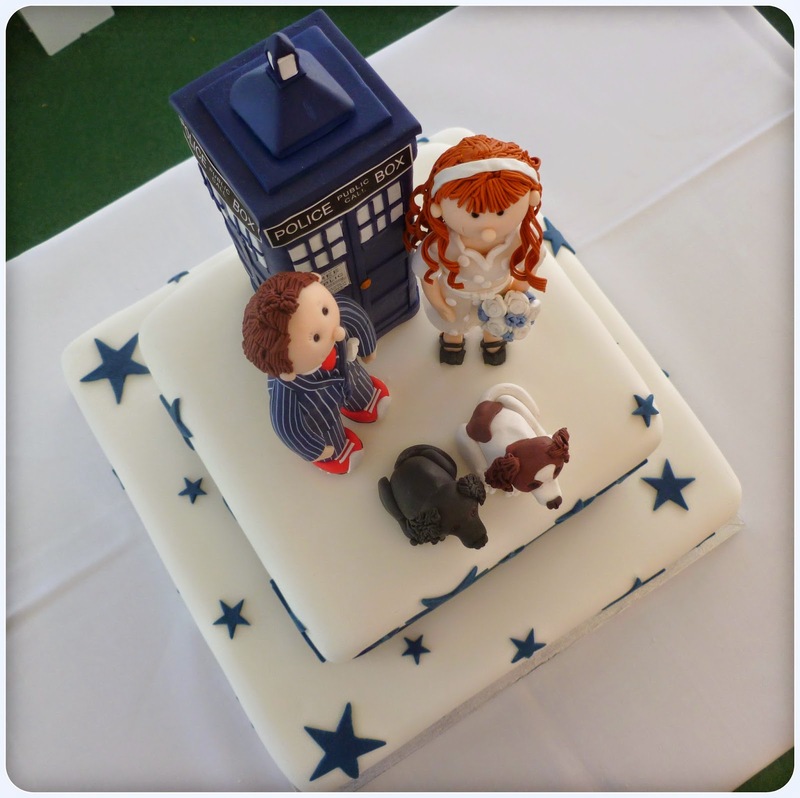 Earlier in the year I had the enormous pleasure of making a wedding cake for a colleague. 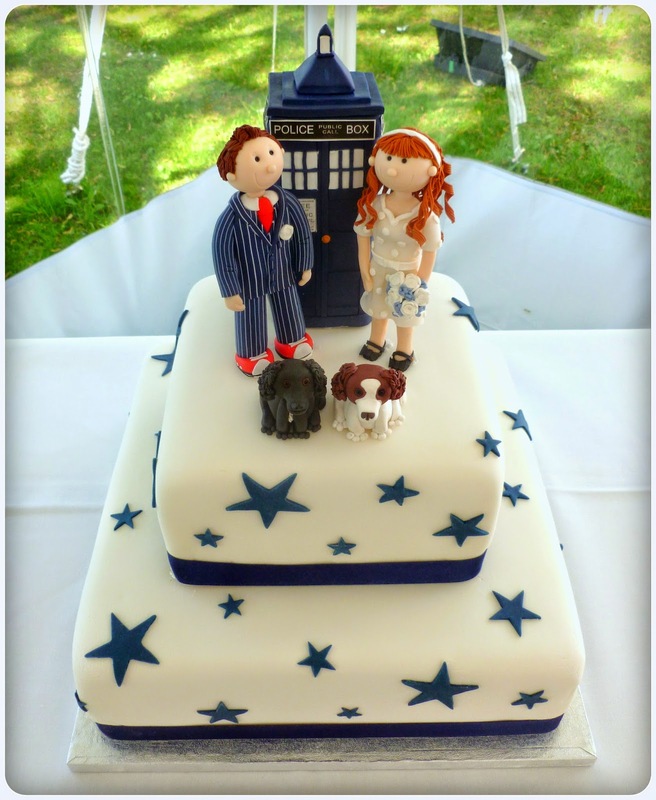 As you can see there was a bit of a Dr Who theme! The botton tier was a 12" chocolate sponge and the top was an 8" victoria sponge. I'd not made this quantity or size of cake before, nevermind decorated one. I don't tend to do many fully iced cakes, just the odd few at Christmas and they're usually round, so I was really pleased with the finish I managed on these. I'm afriad I can't take credit for the gorgeous toppers - these were from Eternal Cake Toppers. 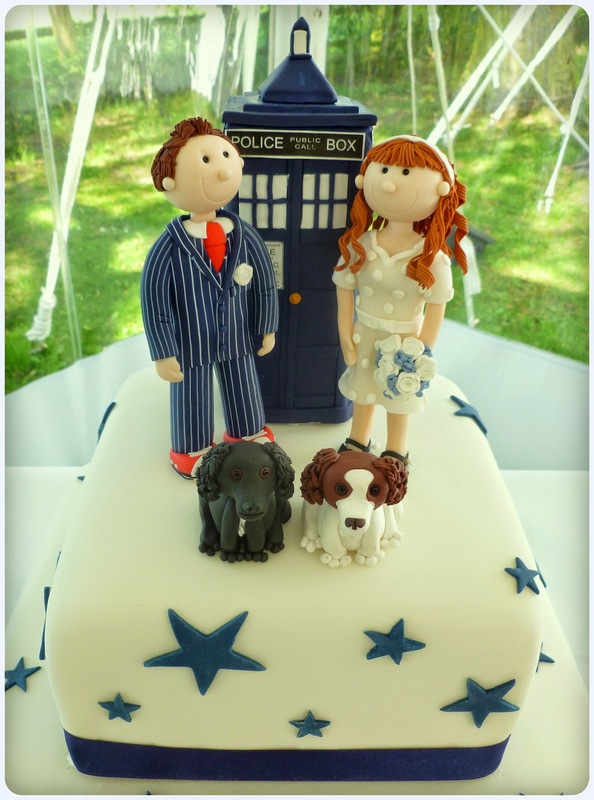 I think having their doggies on the cake was a lovely touch! 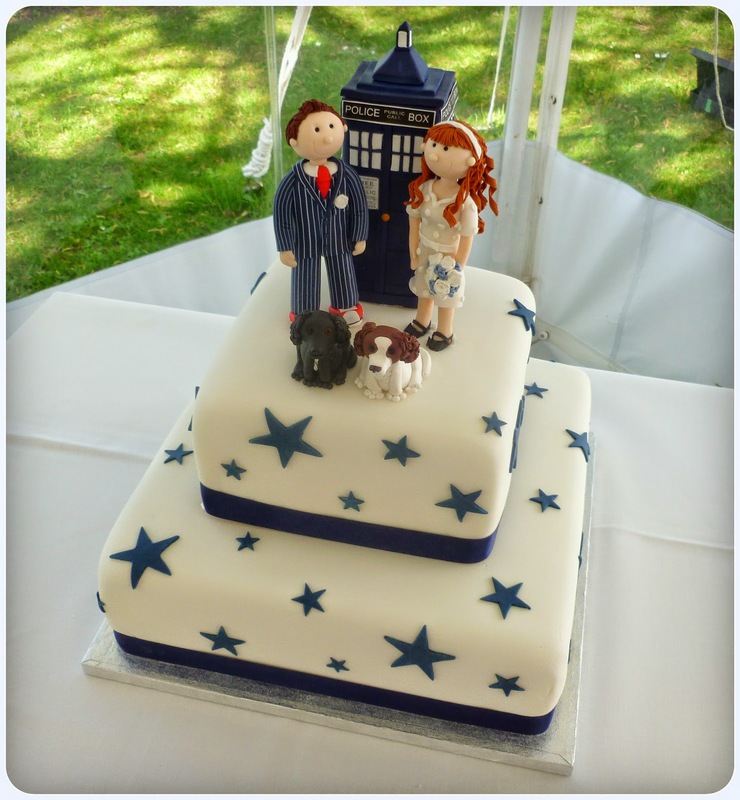 I loved the experience of doing this, and it was wonderful to see so many people enjoying and appreciating something that I'd created, but it reaffirmed that I much prefer baking as a hobby!